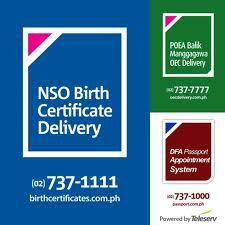 NSO Birth Certificate Delivery Made Easy! NSO Birth Certificate Delivery Services has expanded its payment facility online with the opening of an online channel that accepts credit card payments for NSO certificates and soon paypal for online people. 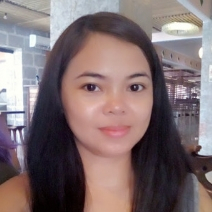 After calling the Helpline (02) 737-1111 or chatting online at www.birthcertificates.com.ph, you can now opt to pay using your credit card through the online payment facility found on the same website. Secure and safe, the online payment channel is fully complaint with the PCI-DSS certifications. From the standard payment channels of Metrobank, Bayad Center, and Bancnet, you can now enjoy the power of the web and do everything online. Chat with our friendly Customer Care Officer, know the answers to your NSO concerns through the website, and settle your payment online in all with just a click of a button. Your NSO certificates will be delivered right at your doorstep in 2-3 days wherever you are in the country. World class service quality from the premier citizen service provider in the country.